Another image from Buena Vista Park. I took a picture of clear, afternoon light striking the Monterey Pines. I painted the same type of trees in this park in a high-key approach, and it’s interesting to compare the two. The technical approaches are very different. When I paint high-key, I tend to use a lot of paint, with fairly consistent texture on the canvas. A “full key” painting like this one starts with thin washes, and builds up to thicker passages. Enjoy! 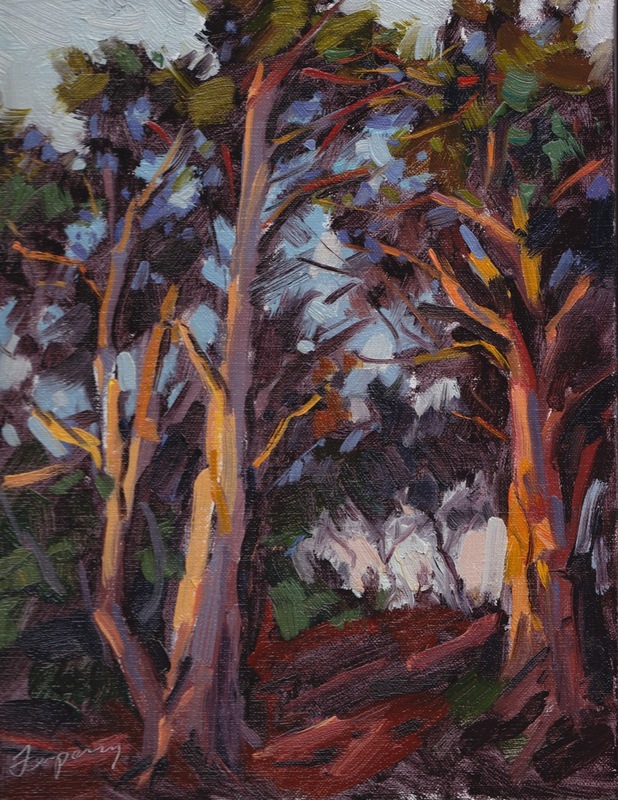 Buena Vista Park, Late Afternoon - Oil on Linen - 12x9"